The International Species Management Plan with its goals and objectives is to be reviewed and updated every 10 years (first revision in 2022). The Adaptive Harvest Management strategy for the species is based on a 3 year regulatory cycle, starting in 2013 and to be reviewed in time for the 2016 hunting season. For more details about predicted sustainable hunting levels please see the Adaptive Harvest Management Report. Monitoring of the population, environmental conditions and management actions is undertaken annually and published in the Population Status Report. The overall international implementation of the Management Plan is led and coordinated through the International Working Group, supported by the Coordination Unit currently based at Aarhus University. 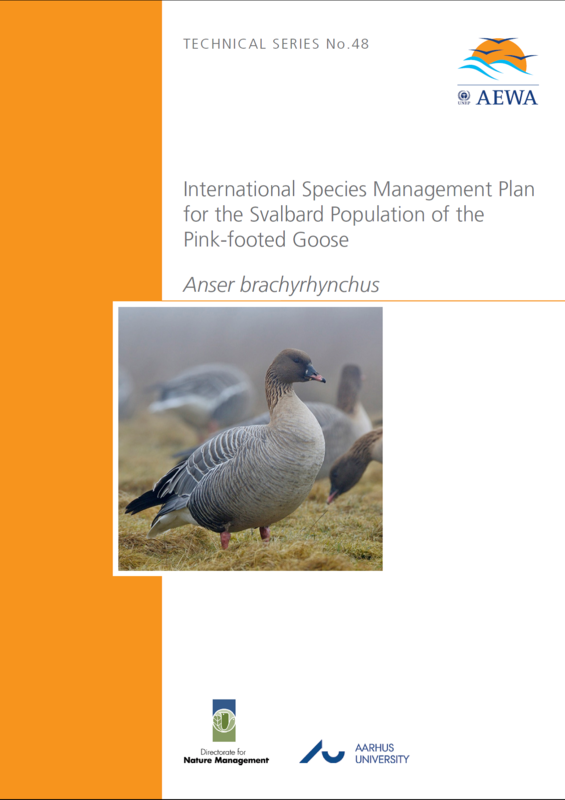 The Coordination Unit has a limited number of printed International Species Management Plan for the Svalbard population of the pink-footed goose available in English. For more information, please contact the Coordination Unit.